Memberships are one of the most difficult offers to convert. Yeah, you read that right. Memberships and subscriptions are a lot harder to convert than a single product purchase. In fact, a customer will often spend more to avoid the commitment of a subscription. Think about it for a moment: Men in our society are infamous for trying to avoid commitment. Why would you choose commitment as a business model? What if I told you I had the secret to tripling your membership? Play along with me for a second. What would it mean to your business and life to triple your membership? How much more money would that generate for you? What would you do with that money each month? How much security would it provide you, your team, and your family? Do you want the secret that will triple your membership? I’m happy to reveal the secret to you, and I’ll deliver it to you in little dribs and drabs over the next 12 months. What happened to your desire for my secret? It decreased, didn’t it? That’s exactly what your prospective members feel when you pitch your subscription program. No wonder not everyone jumps at the opportunity to join! Some of my clients don’t deliver anything to their brand-new members until a new monthly product cycle comes around. By three or four weeks, many of the members forget they ever bought anything. How is it possible to value something like that? Be 6-second abs instead of 10-minute abs for your members. How can you deliver the former and avoid getting crushed like the latter? I learned this trick from the Sports Illustrated football phone commercials in 1991. This was a stupid product. I can say that because I still have mine. 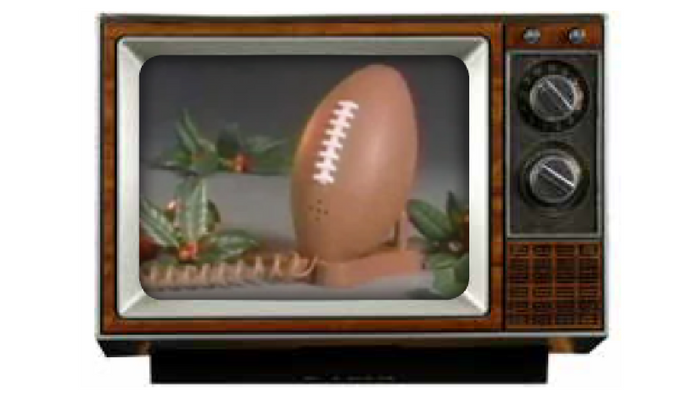 Sports Illustrated ads promoted the “how cool” football phone for half of the ad before ever mentioning the magazine. They sold the phone first, and then gave it away as a bonus when you subscribed to the magazine. They still do this today with the Philadelphia Eagles Super Bowl highlights video or other such bonuses. To jump-start your new member acquisition systems, how can you create a “gift with subscription” that helps you drive the sale? This is why I’m so brilliantly sneaky. It’s true that I’m really good at helping memberships grow by improving retention. My true gift, however, is increasing retention and new member acquisition at the same time! The first time was in 2002. The Florida Institute of Certified Public Accountants (FICPA) hired me as a copywriter to create a new member acquisition and renewal campaign. It was a few months after the Enron scandal, and the entire profession was in a state of depression because the controversy called into question the value CPA delivered. Plus, the FICPA faced a generational shift with thousands of members approaching retirement and younger members not joining at the same rate as previous generations. First, I addressed the problem by creating a Member On-Ramp that taught members how to get value from their membership investment in FICPA. To encourage new members to get engaged in the Member On-Ramp I positioned it as a guide for advancing your career. When new members consumed the Member On-Ramp, they received a ton of great advice and tactics to help them build their career as a CPA, many of which were by using benefits provided by the FICPA. This meant that while the Member On-Ramp was created to encourage new member engagement, I positioned it as a career advancement guide so I could promote it as a gift with a subscription to entice new members to join. This career guide attracted the young CPAs the FICPA had struggled for so long to attract. I created sales letters that discussed how hard it is to grow a career as a CPA, especially in light of Enron. Then, I positioned the FICPA’s career accelerator as the solution. But they could only get the career accelerator if they joined by the deadline date. This delivered the immediate gratification members needed to say yes. And the guide helped members get value out of the membership they just joined. This is now my go-to strategy for member retention and acquisition. Create an onboarding product that delivers a member transformation. Then, market that Member On-Ramp as a bonus that increases sales conversions on the front end. Yes, I know; it’s brilliant. Now how can you use this strategy? Call if you’d like to talk through this question with me at 850-222-6000. I’ll take your call on my football phone!